Hello everyone! This month I had a few new products to try out from the past few months & these are all ones which stood out to me as firm favourites. 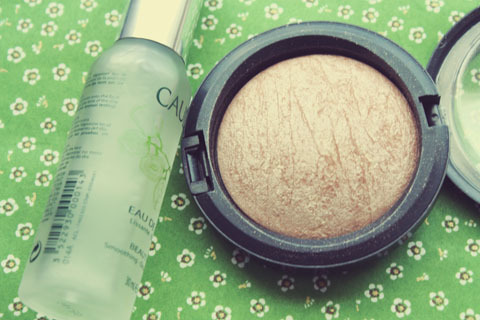 Some of these you will have seen in my Beauty Favourites of 2012 post & possibly in a haul already so I won't be talking about them all in great detail. Next month I will have a lot more new products to write about as over Christmas I received a few beauty gifts & products to try out too so keep an eye out for those. 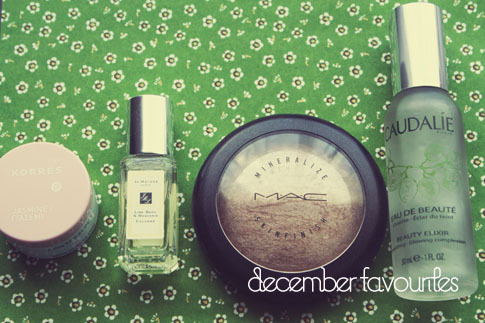 Here are my favourite beauty products from December! 1. 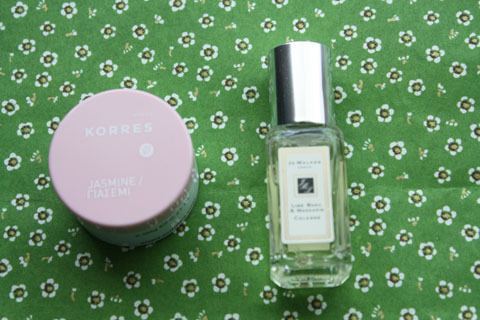 Korres Lip Butter in Jasmine, $8.57 on sale here. During November & December my lips were getting noticeably dry & chapped which didn't make sense given I use lip balm & drink plenty of water. My regular lip products weren't managing to clear the dryness up either so when this lip butter arrived I had high hopes that it might help. It certainly did! This lip butter melts into your lips to condition them & they are left soft & moisturised again. The dryness of my lips cleared up drastically once I began using this & my lipsticks applied a lot better as a result. 2. Jo Malone Cologne Lime, Basil & Mandarin, Christmas gift that was part of the Jo Malone Christmas Crackers. I am in love with this fragrance & I've only had it a week! It is the most long-lasting scent I've ever worn & it smells absolutely divine. The full sized version of this little gem is on my 2013 beauty wishlist for sure. 3. Caudalie Beauty Elixir, $16.83 on sale here. This was mentioned in my most recent Haul post. I love how it makes my skin smoother so makeup can be applied easier. You're not left with any moisture on the skin's surface & it acts as a nice pick me up in the morning. I am still not overly fond of this product's rather strong scent but eventually it is easy to get used to. 4. MAC Cosmetics Mineralize Skin Finish in Soft & Gentle, price unknown. I love this & it is totally worth all the hype it gets. My skin is quite pale & can often look dull but this skin finish gives it a nice healthy wake me up. It is also lovely as an all over lid colour. This gets used every time I wear makeup now. Honourable mention goes to Snow Fairy Shower Gel & the Party Popper Bath Ballistic both from Lush. These were part of Lush's Christmas Collection so they will have been in their End of Year sale but they might be sold out now. Snow Fairy is currently in my shower & I love using it to wake me up in the mornings. It helps that it smells like sweets too. The bath ballistic smelt great & was fun to use after a not so happy day. I'll definitely buy it again next Christmas. *I hope you're having a nice day! Today I will: Listen to cringe-worthy music & sing along, Go for a morning stroll in the Botanical Gardens, finally unpack from my holiday, read plenty. Thank you so very much! I just had a look at your blog & it is lovely. You have some gorgeous pictures & posts x.